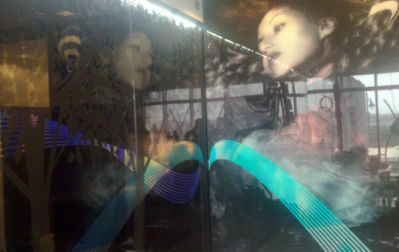 surface can be transformed with our vinyls and films! From simple cut vinyl to the special effects we can achieve with multi-layered applications be sure to factor us when planning your next interior design project. 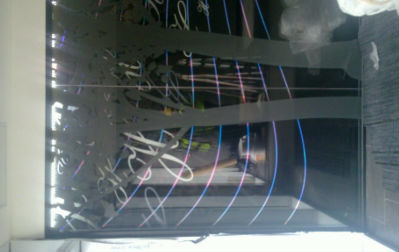 3D and holographic print and vinyl on acrylic with cut vinyl trees. 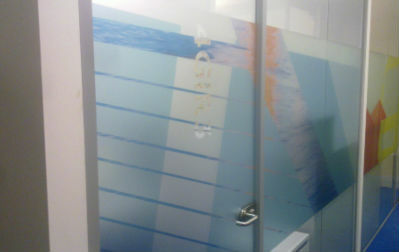 Colour printing on frosted vinyl. 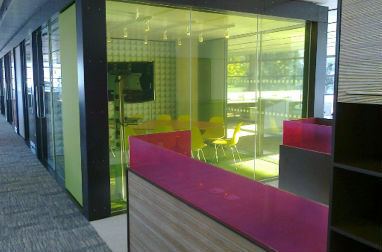 Printed vinyl and translucent film. 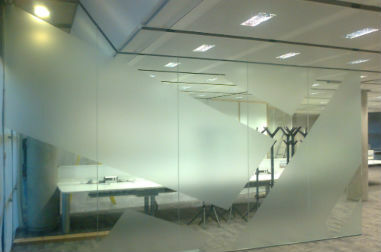 Frosted Vinyl on glass partition.